Come along to our 3rd annual Arts & Sculpture Festival. Held over two days on the first weekend of September at the historic Hermitage Hill. 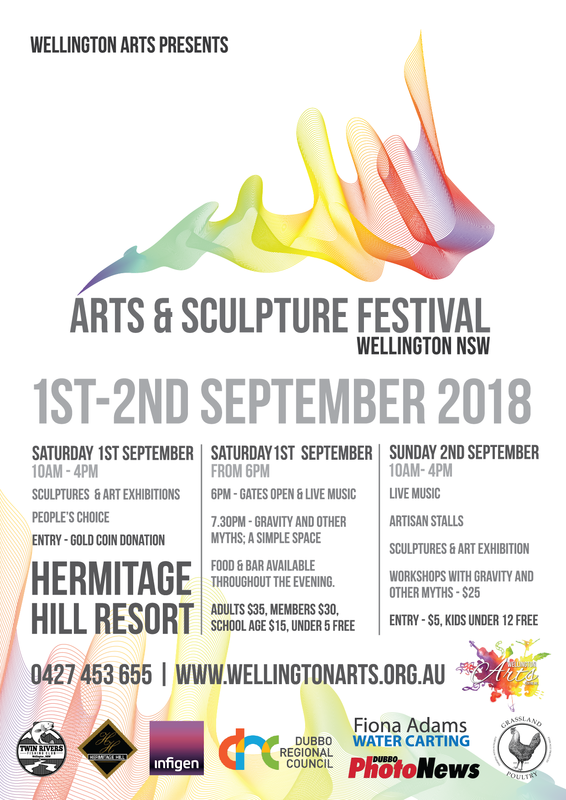 Browse the out door sculptures, art exhibition and artisan stalls, grab a bite to eat or sit down and relax while listening to our local performers on the beautiful lawns of Hermitage Hill. This is a great opportunity to have a memorable Father’s Day and enjoy the local activities and talent that encompass our region. Gravity & Other Myths will be performing their world class show - A Simple Space at our gala event on Saturday 1st September from 6.30pm. Tickets can be purchased online or at the gate. The Peoples Choice Sculpture competition consists of four categories -- Primary, Secondary, and two Open Divisions, with total prize money of $1,500. Sculpture exhibits may be of any medium and will be exhibited outdoors with the theme “Sound and Movement”. 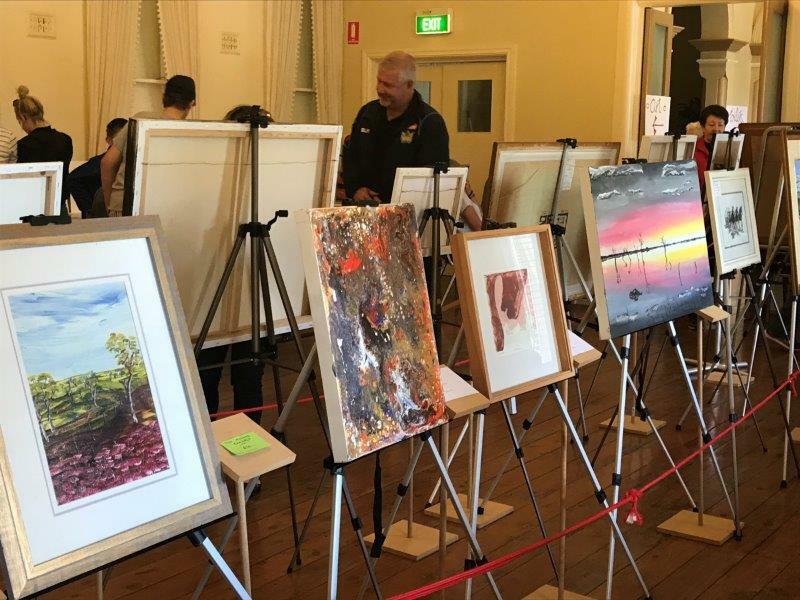 The Farmers Challenge is a new sponsored category for this year allowing our talented farmers to express some creativity while dealing with the impact of drought conditions. Farmers are renowned for their ingenuity and we hope to see some of this hidden talent exposed for us to enjoy. Entry cost of $10.00 for each Open Entry and free for School students. Entry cost of $15 if entering the same sculpture in both Open and Farmers’ Challenge.